CMD Endeavors, Inc., a new Frontera sponsor! CMD Endeavors is supporting habitat restoration and helping to reduce erosion at Resler Canyon. HighDesert Native Plants, LCC sponsorship assists with our daily operational expenses. Their support ensures we are able to continue outreach explaining why open spaces and water conservation are valuable to the region. Through its Southwest Community Development division, Hunt Companies is the sponsor for the 2014 Annual Event, to be held on November 1, 2014. On that occasion, Frontera will be celebrating a decade of work in conservation! In addition, Hunt provides in-kind support for Resler Canyon. Jobe Materials sponsorship has allowed Frontera to promote its conservation programs. 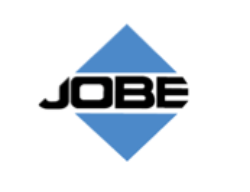 Jobe Materials’ support has assisted directly with habitat restoration, stewardship and water conservation programs, all critical programs to Frontera. Sierra Machinery sponsorship is helping Frontera to continue a partnership with the National Park Service and the Franklin and Organ Mounts Conservation Corporative; we are working jointly to gather science based data to assist in sound decisions for growth. El Paso Water Utilities (EPWU) gave support by stabilizing the arroyo’s slope in Resler Canyon and replacing the collapsed stormwater facility. EPWU also assisted in purchasing the materials that volunteers are installing to reduce erosion along the sides of the stormwater facility. Winton Flair’s sponsorship assists with costs associated with the cultivation of donors and supporters, the end goal being to grow the organization’s programs and projects for the preservation of farms, ranches, water and open spaces in the region. Frontera Finance Committee wants to share how your donation is used. Please see graph. Frontera Newsletter: The July 2014 Newsletter can be found on the Frontera website. Want to be a Frontera volunteer? Let me know if you are able to help at one of the following events? Neighborhood Summit, Saturday September 6, from 7:30 to 2:30 at 9600 Sims, YISD Central Office. 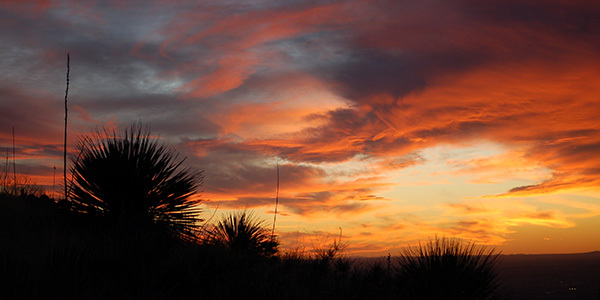 Castner Range: We are requesting an extension on the Office of Economic Adjustment grant through mid-September 2015 so we can expend the full grant funds awarded in the fall of 2010. The remaining funds will allow us to conduct more outreach and host additional meetings to educate new partners on Castner Range. The “Conserve Castner Range” DVD has been in circulation since March 2014; it is now being translated into Spanish for even greater exposure in our bilingual community. We will continue to distribute the DVD to K-12 dual-language programs as well as to Spanish-language TV and radio. The English version of the DVD has been submitted to the El Paso film festival and to the local PBS channel for showing. Resler Canyon: Wattle work day. We are still working to install the wattles at Resler Canyon. If you have a group of volunteers that would like to volunteer one morning, then please give the Frontera office a call. Thunder Canyon: We are working hard to plan our 10th year annual meeting. We will be hosting a great event at Thunder Canyon on Saturday, November 1, 2014. City of El Paso Resilience Meeting: The Rockefeller program is hiring an employee to oversee the grant awarded to the City of El Paso to oversee the creation of a Resilience Plan. The hope is that once such a person is on board then the Franklin and Organ Mountains Cooperative will be able to share and move forward in the production of a complete data set of GIS layers to assist with regional decision making.